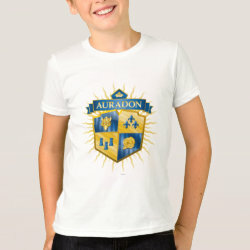 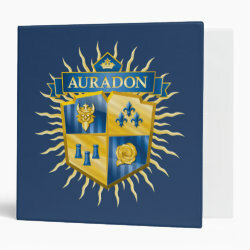 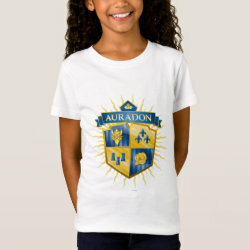 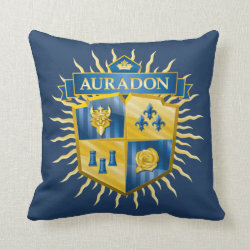 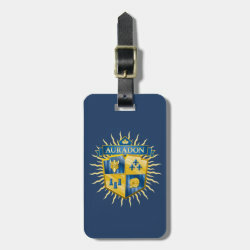 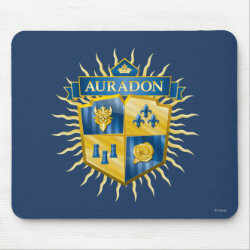 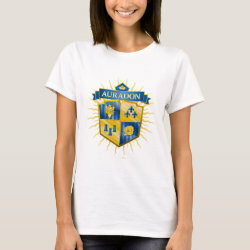 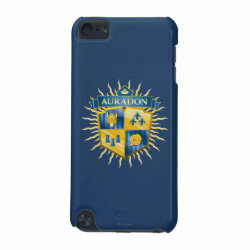 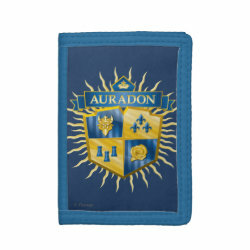 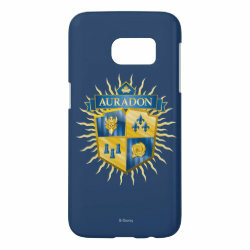 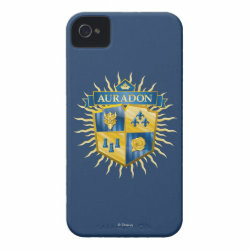 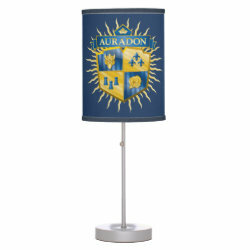 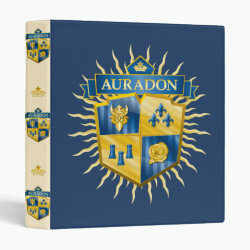 This is a logo design inspired by the school featured in Descendants: Auradon Prep. 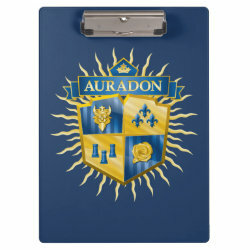 A shield shape has four icons from the series, including a More... golden rose and a stylized image of Beast (from Beauty and the Beast) wearing a crown. 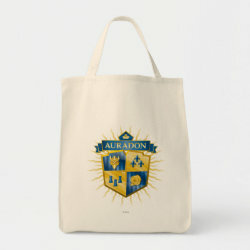 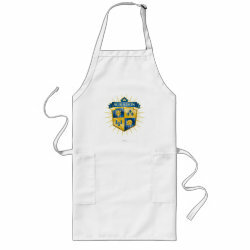 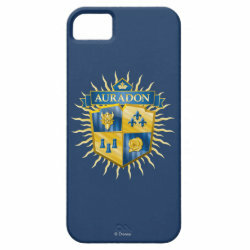 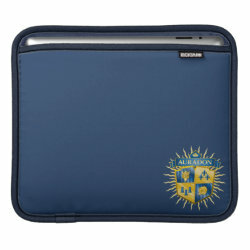 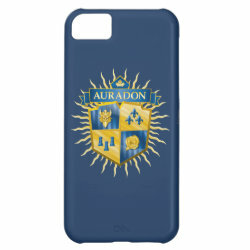 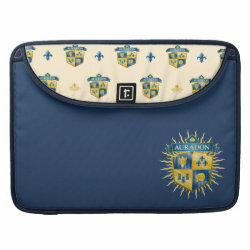 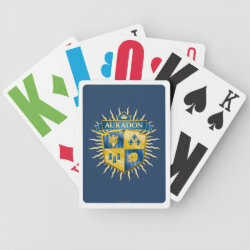 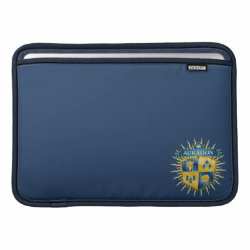 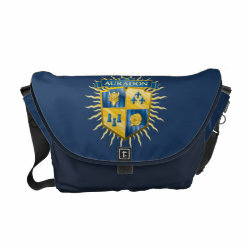 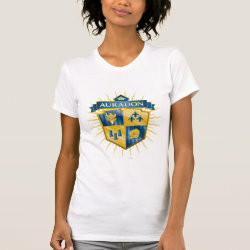 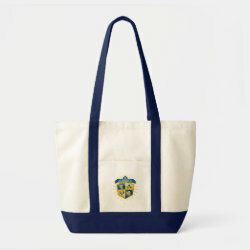 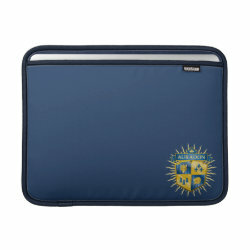 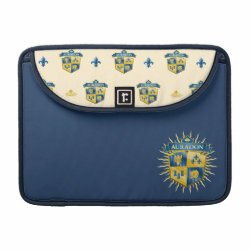 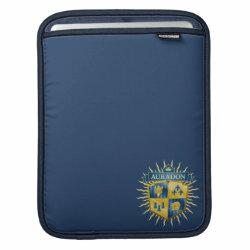 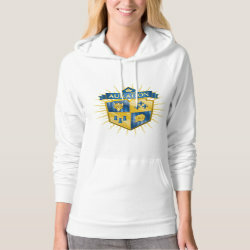 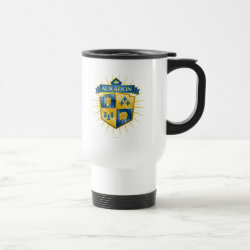 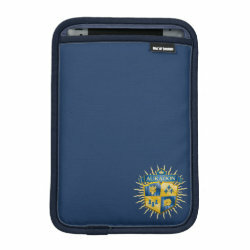 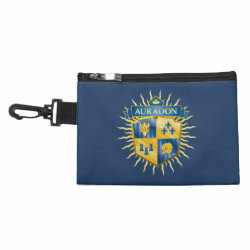 The design is done in shades of gold and dark blue.